Wet Samples - with some sort of liquid - best in generator system. • Liquid allows for more cavitational breakdown. • PTFE bearings in generators work best with some sort of liquid in sample. Dry Samples - when no liquids are present - best with blade system. Generators are capable of homogenizing a sample size from 0.03ml to 20L. 5mm or 7mm generators can fit into 1.5ml - 2ml eppendorf tubes. With a 7mm generator, the generator probe won’t touch the bottom of conical microtubes, but substance may get pulled up into generator. The generator will touch the bottom of a flat bottom microtube. The sample, if solid, should be no longer than half the diameter of the generator. Generally, you want to homogenize and use a generator as wide as the tube you are using. This will allow for faster and better homogenizing because no material will "escape" from the generator. Keep in mind that there is some displacement of material once the generator enters the tube or container. Place the generator off-center in the tube or container for the best results. This will prevent material from getting "stuck" on the walls of the tube and not being homogenized. 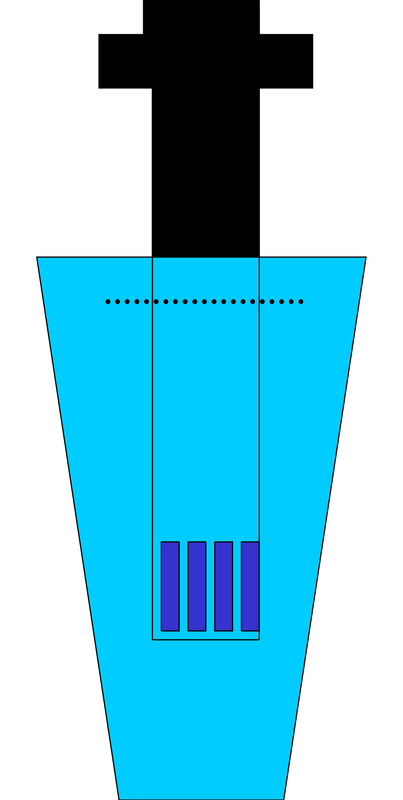 Place the generator 1/3 of the sample height off of the bottom of the tube or container. When using a generator 120mm or greater in length, it is important to remember that these generators have a mid-bearing. This “bearing” helps prevent bending or movement of the rotor within the tube. This mid-bearing still needs to be kept moist during homogenizing and therefore should be kept covered by the substance being homogenized, not doing this will burn out the bearing, produce excessive amounts of heat and damage your generator. This will also cause the sample to become dingy and blackened. If using too long of a generator for your sample size, you may start to pump air because the generator cannot recover fast enough. Use as short a generator you can for your container/tube. 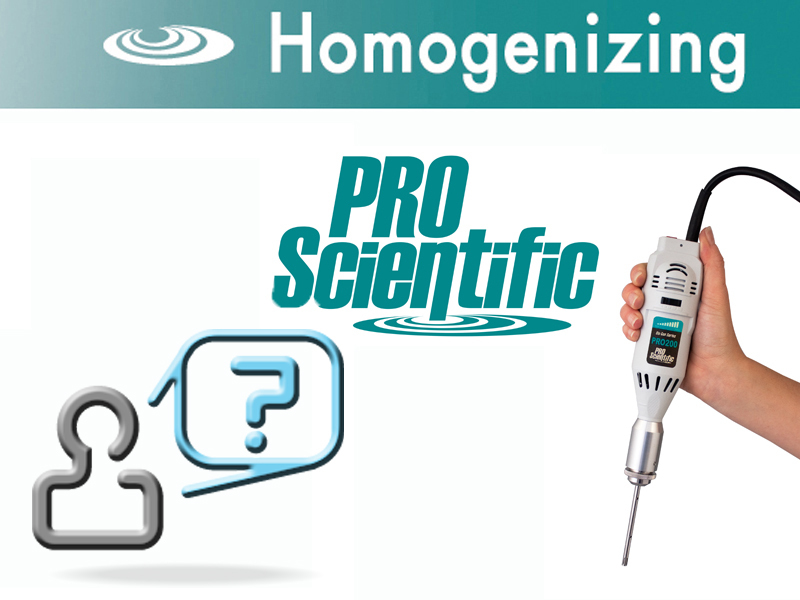 Always begin homogenizing at a low speed, then gradually increase speed. This allows you to remain in control of the whole process. reduction. PRO homogenizers are capable of reducing particles to 0.01 microns when cavitational breakdown is present.